Seth is a lover of music and a world traveler. A musician himself, he can play guitar, bass, drums, and write a mean metal riff. 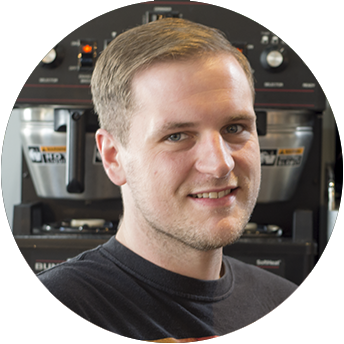 Seth is the brother of owner Regi Ott, but there’s no nepotism there. 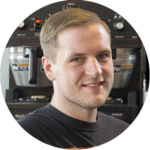 Seth works hard and has become a Barista who’s hungry to learn more and create new beverages. If you want to get philosophical, talk music, or replay a Grizzlies game then Seth is your guy. He is your coffee date every weekend so be sure to plan accordingly.